Happy Saturday, friends! Today is happy for me, because I get to go to my upline’s stamp camp, and then if all goes as planned, I will finish editing my husband’s book today and can finally start on sending out Christmas cards, catching up on housecleaning and budget stuff, baking my booty off, Christmas shopping (I’ve barely even started! 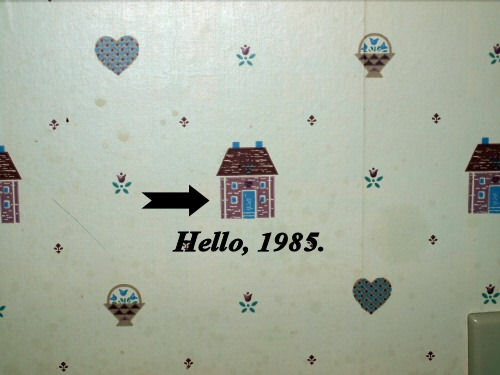 ), and decorating the house. It’s not too late, right? I still needed some sparkly touches (gotta have something shiny! ), so I added lots of rhinestones and the Silver Foil strip, embossed with the Pretty Print embossing folder (because sheet music needs lyrics, right?). Embossed Foil Sheets are on the list of my favorite things right now — such a big wow factor. And since I’m addicted to the 1/8″ Silver Ribbon, I threw a little bow on one ornament just for fun. I forgot to get a picture of it, but I did finish the inside of the card. 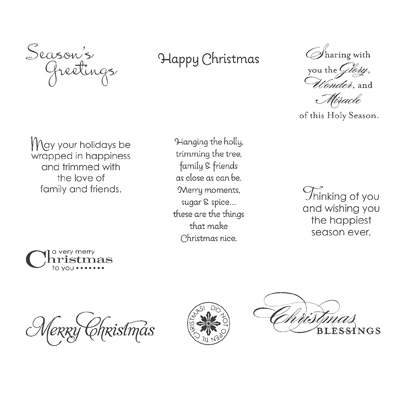 I added a 4″ x 5-1/4″ panel of Very Vanilla and then stamped the “Hoping your Christmas…” sentiment in Gumball Green. Before I mail it out, I’ll probably also stamp a partial ornament in the lower right corner in Gumball Green. I like how the card turned out. A little unexpected. What do you think? 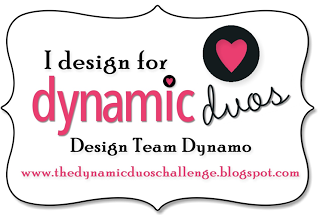 I hope you’ll head on over to Dynamic Duos to see what the other design team members came up with. I’m amazed each week that we’re all given the same challenge and come up with such varied designs. I’m so proud to be on this design team with such talented ladies! Ah, that’s more like it. The last card I made didn’t have a single Dimensional on it, and it had barely any sparkle. This is better for this sparkle-loving girl. I used the Pals Paper Arts sketch for this card. I decided to angle a tag on the card instead of cutting angled paper. 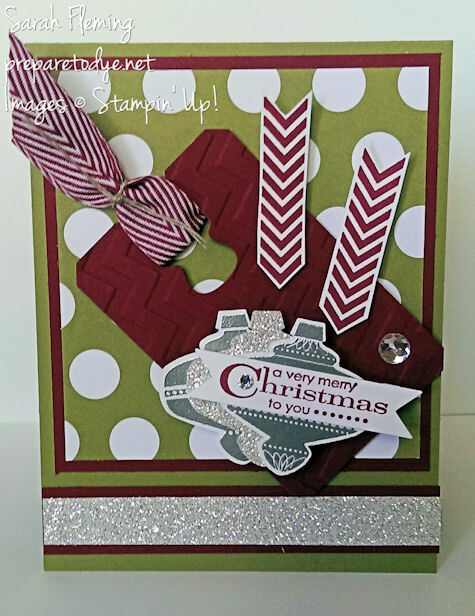 The tag is cut using one of the Chalk Talk framelits and embossed with the Chevron embossing folder. The arrows that draw your eye to the sentiment are from the A Banner Christmas stamp set, and I fussy-cut those after I stamped them. 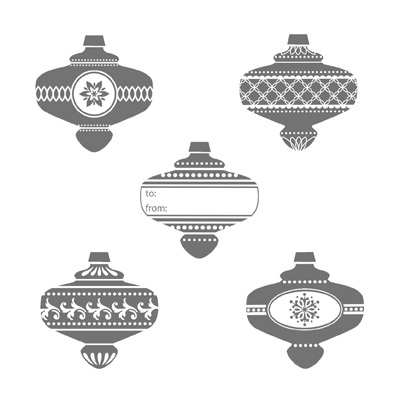 The two stamped ornaments are from the Christmas Collectibles set. 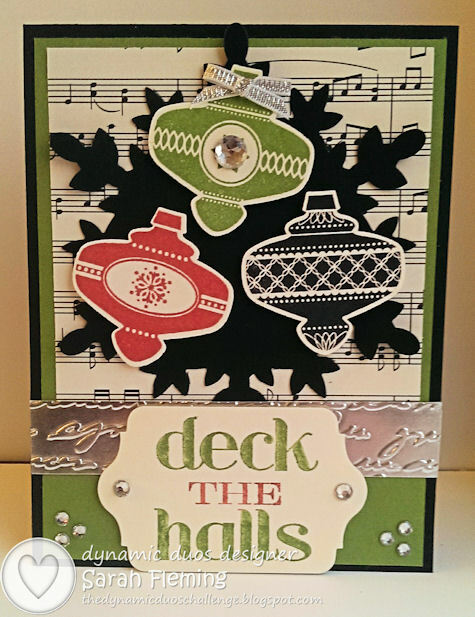 I embossed them using Versamark ink and Silver embossing powder, then punched them out with the Christmas Ornament punch. I also punched an ornament out of Silver Glimmer paper, then layered all three ornaments with Dimensionals in between. I may have gone a weensy bit overboard on Dimensionals to make up for my last card. Haha. The sentiment is one of my all-time favorites, from the More Merry Messages set. I cut it out using a Bitty Banners framelit. I hope you enjoyed my card. 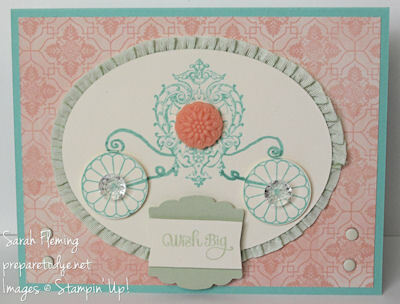 You can buy all of the supplies you see here in my Stampin’ Up! store, 24/7! Have a great Friday! Monday is the deadline to join as a demonstrator for only $25! This is the lowest that price has ever been, so take advantage before it goes away! Email me for additional details, or go sign up at this link. Monday is also the deadline to sign up for my October Stamp-of-the-Month Club. Details at the link. 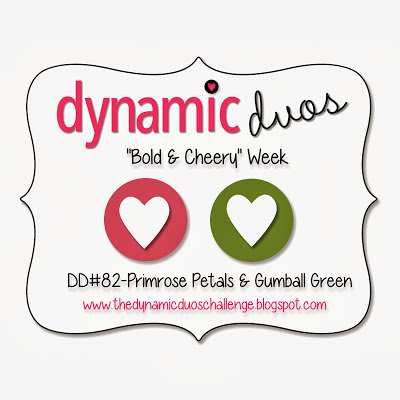 Make sure to check out the Weekly Deals section of my Stampin’ Up! store (new every Tuesday)! Hey there! Quick post today, as I have a busy day doing a little consignment shopping for the kiddos, taking the little man for his 4 month checkup (how did THAT happen so fast? ), and working to get my Stamp-of-the-Month Club packages out on time. I made this sunburst card for the Freshly Made Sketches challenge. I’ve never made a sunburst before, so it was fun to try a new technique. I first made the sunburst, attaching all of the Season of Style paper triangles to a piece of scrap paper with my tape runner. Then I trimmed the excess paper off. 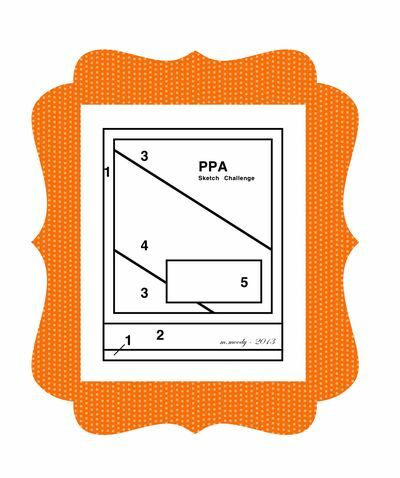 I cut the square out of the center using one of the Squares Collection framelits. Then I cut the sunburst into four sections to go with the sketch. I think next time I will use a piece of scrap cardstock instead of printer paper to attach my sunburst to. You can’t tell from the picture, but it felt flimsy attaching it to the card. 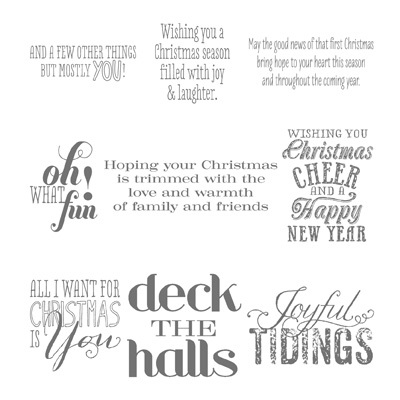 I embossed the sentiment in Gold on Whisper White cardstock and also embossed “MERRY” in Cherry Cobbler and cut it out in a banner shape. 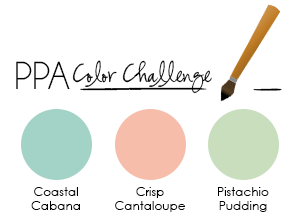 I cut out the sentiment using one of the Chalk Talk framelits (love this set of framelits, so many great shapes!). 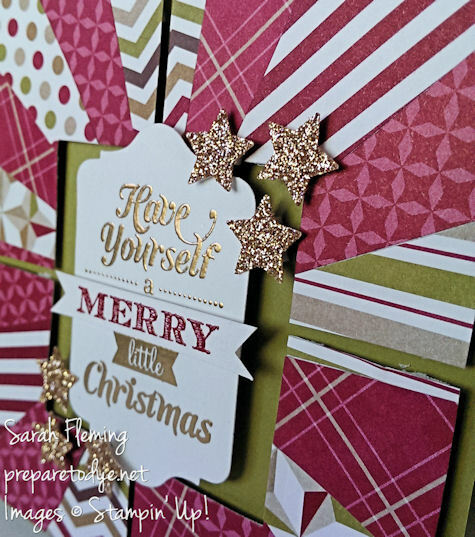 The stars are punched out of Champagne Glimmer Paper using the Merry Minis punch pack. The card base is Old Olive, and I made a 5×5 square card. Now that I have my new Envelope Punch Board and can make any size envelope I want (well, 66 sizes), that means I can also make any size card I want. I hope you like the card. I had fun making it.